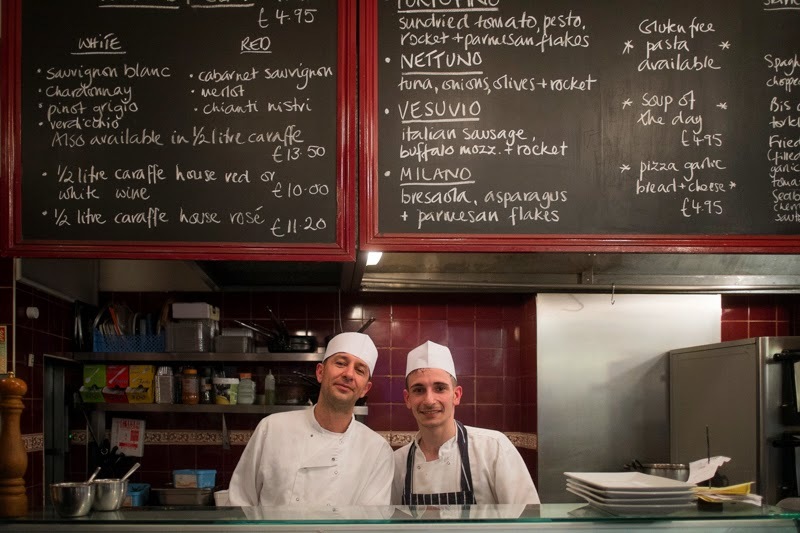 … that would be L’Osteria 57 … a little known tiny Italian restaurant owned by two brothers, hidden in plain view in the middle of London. The regulars eyed up The Doll and I as we entered, with a look that smacked of “this is ours, how did you find it, and how did you get in?” The waitress was much more welcoming and quickly ushered us to the safety of a table and gave us menus for further self-protection. I gest ... of course, I wasn't scared at all … I've been to deepest Yorkshire after all!! I think the best way for me to open about L’Osteria 57 is to quote what they say about themselves. “Our salads are excellent and spaghetti tastes like in Italy. We are proud of ourselves and would like to share our experience with everyone, who is addicted to the best Italian food”. Olives, bread and water came to the table to settle us in. 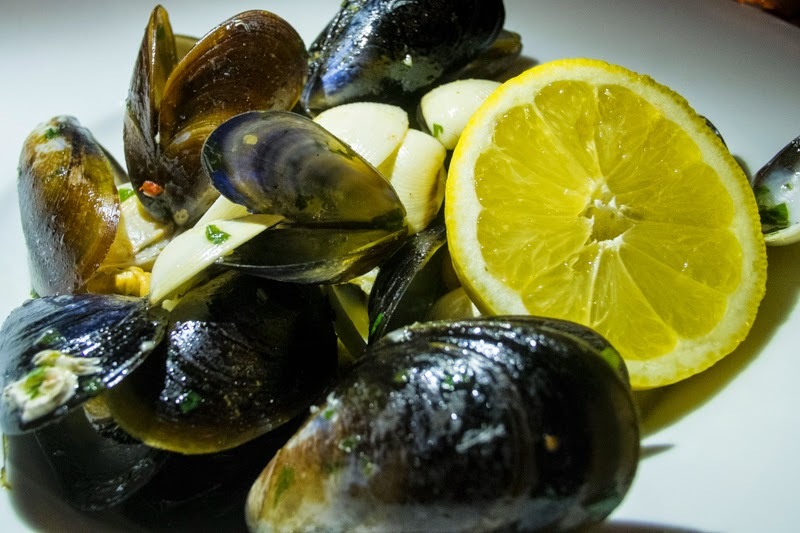 After much deliberation and peering at other people’s food, discretely naturally, I decided to start with shellfish, a dish of mussels and clams (cozze and vongole) cooked with lemon, garlic and white wine. It is so easy to overcook shellfish (unlike a sausage as we know from last week) it only takes 10 seconds of inattention and “bam” dried out and awful. No such worries here, there were masterful hands (as well as cheffie hats) at work in the kitchen, and they were sweet, juicy, briny and plump. I find it difficult to choose when you can only have two or three courses, as opposed to the seven that I would like, and really can only have guilt free in Italy with Stefano. So a starter then pasta, or do I have pasta and then meat, and will I fit in dessert ? Top Ted hint here - I discovered the perfect answer a while ago and it’s called Scaloppine alla Milanese. 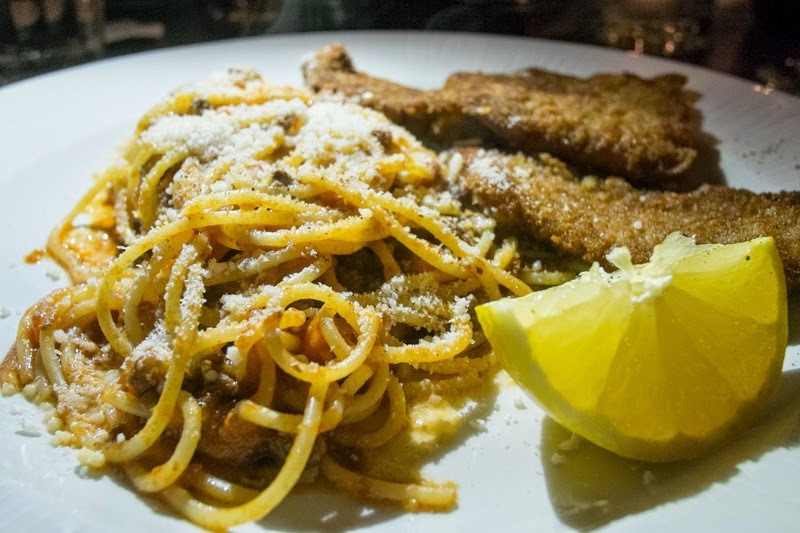 Spaghetti with tomato sauce and crumbed pan fried veal escalope on the same plate. Fresh aromatic juicy lemon to squeeze on the veal and a good quality parmesan freshly grated and sprinkled on the pasta!! Italian food suits me fine! Thanks, Ted. This looks like a place I would like. I am a big fan of Italian food, but, like you, I also need to be sparing in the number of courses I order. Scaloppine alla Milanese would be my choice, too. It's breakfast time as I'm reading this and suddenly I have a craving for mussels!